“The allegations related to unnecessary procedures being performed in the cath lab are substantiated,” according to a confidential memo written by a company ethics officer, Stephen Johnson, and reviewed by The New York Times. Mr. Tomlinson’s contract was not renewed, a move that Mr. Johnson said in the memo was in retaliation for his complaints. ….At Lawnwood, where an invasive diagnostic test known as a cardiac catheterization is performed, about half the procedures, or 1,200, were determined to have been done on patients without significant heart disease, according to a confidential 2010 review. HCA countered recently with a different analysis, saying the percentage of patients without disease was much lower and in keeping with national averages. 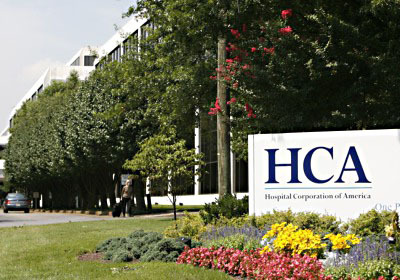 ….HCA denies its decisions at these hospitals were motivated by financial considerations, but rather “demonstrate the strong focus we have on quality patient care.” The company also says that more than 80 percent of its hospitals are in the top 10 percent of government rankings for quality. I’m going to use this as an excuse to make a fairly tangential point: Stories like this are why I’m not all that worried about a doctor shortage after Obamacare fully kicks in in 2014. It’s not that the fear is totally groundless. If you put a lot more patients into the medical system, that’s likely to make hospitals and doctors’ offices more crowded. But there’s also a lot of evidence for a substantial supply-side effect on medical care: the more doctors a city has, the more treatment people get, whether they need it or not. Likewise, if a hospital buys an expensive piece of equipment, they’re highly motivated to keep it in constant use whether it’s really necessary or not. So yes: more patients might cause more crowding. It’s a reasonable concern. But there’s a pretty good chance that it’s mostly going to crowd out a fair amount of unnecessary care, like the stuff HCA is accused of providing. That will eat into bottom lines, but it won’t necessarily make it any harder to see a doctor when your kid has an ear infection. We’ll just have to wait and see.